Hola amigos y familia! Day three of El Camino was very similar to the others yet also very different. Similar in that we are finally getting on a schedule, however, the views, emotions, and people we meet along the way are all different everyday. I swear the views of the Spanish countryside will never get old. I am an international studies and geography double major so the landscape and physical geography are beyond amazing to me. The sharp tops of the distant mountains are very different from the rolling blue ridge mountains I grew up in. The scarlet poppies I find a rarity in Botetourt are found filling fields as far as I can see. Sometimes you find that those you are walking with fade into the background among the breathtaking views of España. Another important part of the camino is the people you meet. Just today I spent time walking with a Londoner named Ian and two Italian men named Fabio and Salvatore. It is amazing to hear the stories of why they walk el camino and what they have experienced. For many, this path is highly spiritual and key to finding out more about themselves. For ourselves it is also important to key into ourselves and our emotions. While walking today I feel like I overcame the first wall and was able to walk all 17 kilometers with relative ease. (As much ease as that could possibly entail). However, as soon as Kat and I came into the city I experienced an extreme low that was aided by a stomach ache, hunger, and exhaustion. The only cure for these is food and sleep (and possibly a “café con leche”). Overall my experience on el camino has already been one I will remember the rest of my life and I have made friends I have grown to know and love. 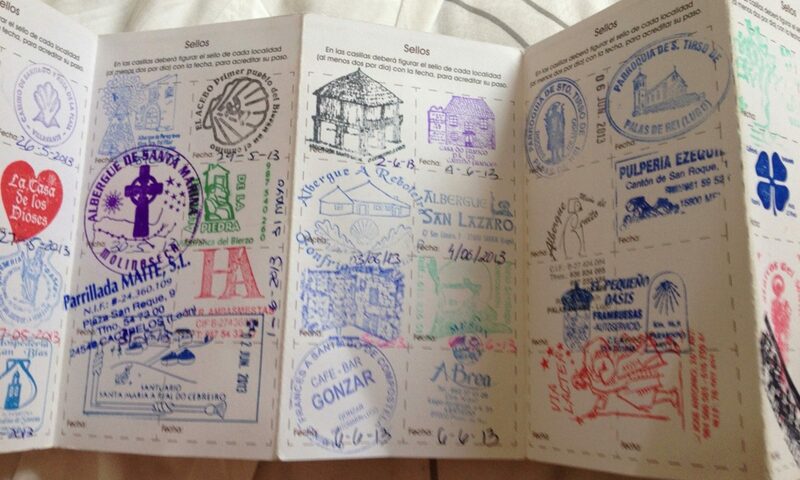 Someday I encourage you to embark on your own Camino, in Spain or elsewhere. ¡Buen Camino, peregrinos!